Presenting the purest Japanese flavours miles away across the sea from the land is the most sought-after OKU Restaurant at Hotel Indonesia Kempinski Jakarta. The originality offered with a modern twist is the brilliant curation of Chef Kazumasa Yazawa – popularly known as Chef Kaz, the man behind OKU Restaurant. 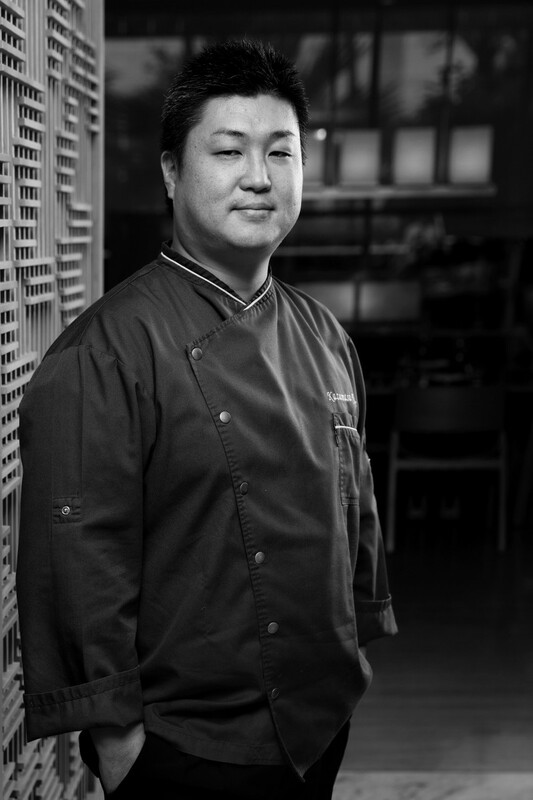 Owning an unfeigned passion, Chef Kaz’s skills have brought him to outstanding timeless achievements. Carrying along his accomplishments, he forms a deep involvement with each and every ingredient used. 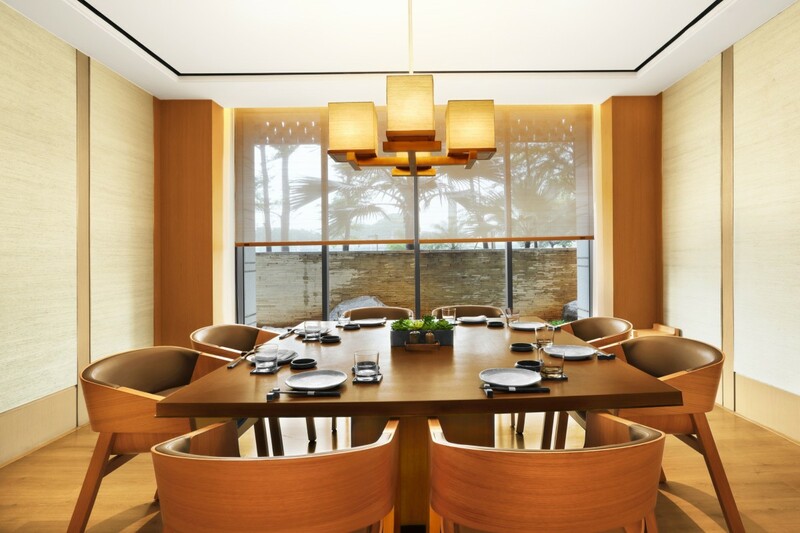 The echoes of OKU are the reflection of Chef Kaz’s vision in creating the space as the premium dining haven that accommodates various needs of its guests. Learning further the integrity and dedication owned by Chef Kaz, Eat Vacation team is privileged to have a one-on-one talk with the resourceful Chef of OKU Restaurant. How does Oku differ from the other Japanese restaurant in Jakarta? I think the difference is that we can accommodate different customers, from families to romantic dinners to business meetings. We have a diversity of the menu, so I think that is an advantage. Anyone can enjoy the menu, from kids all the way up to businessmen for business occasions. Being a 5-star hotel, we need to be flexible in accommodating all guests needs. What is the food you don’t want guests to miss out on? A lot! I think I emphasize on set menus, for which we can use our seasonal products, so that’s something not to miss. Then there’s Okukase. So if people are a fan of Japanese food, when they come to a Japanese restaurant, they would ask for Omakase, that’s the best and freshest ingredients served for you. But at Oku, we name it Okukase, as it’s similar to Omakase. A lot of guests are also already familiar with our signature items, so we give them something different that’s normally not on the a la carte menu. What is your definition of delicious food? Delicious food, For me, it’s the ingredients. I mean, we cannot make it taste delicious without the right ingredients. When did the idea of being a chef start? I was 21, studying Hotel Management at university and I had an assignment to cook for four people. I’d never touched my knife before that. So I had to do this stupid assignment to cook for four people and I had to do a trial at home, so I went to the library and grabbed a Jamie Oliver book. You know Jamie Oliver’s recipes are simple and easy, right. And then I had to invite a few friends for dinner and ended up having a good time, maybe too much wine. That’s all about me for cooking, having a good time and sharing it among others. How was your first cooking experience? I was really bad, I burned the book from the library so I had to pay. It was my first cookbook, actually, the book that I burned. What is the food you’ll always miss when you travel? What is your one unforgettable moment during your career as a chef? I think for me the most exciting part is that I get the chance to meet many different guests. Once I got an invitation to cook for a restaurant guest, that was in Paris, in Normandy. I went there for a week, had to cook different food every day for the family and guests, it was really nice because the host was the owner of Chateau Yves Saint Laurent, it was very beautiful! But one day before I thought, I had better check this guest properly, right? I didn’t really know, he was my guest, but I didn’t know what he does. And then I found out he was kind of a big restaurant mafia, he was quite a well-known restaurant mafia. You know, the owner of Chateau Yves Saint Laurent, can’t be a normal businessman. So I didn’t know if it was going to be okay for a week, you know, if I cooked something wrong, or did something. Regardless, it was a beautiful experience, very nice family. I don’t know if I cooked it right, but they took me around Normandy and treated me very well. I had a beautiful time. You’ve lived in Indonesia for a couple of years now, what do you like and admire most about Indonesia and how has your experience been so far? My experience has been very different, both in the kitchen and outside. A very different country compared to where I come from. So it was very difficult in the beginning when I had to stay that I almost got depressed. After a while, I started understanding the differences in cultures. But I think the people here are different, but very good, in a way. They don’t know anything, but they’re willing to learn, so I have a great kitchen team. So I’ve decided to stay longer because of the people here. So that’s the thing you admire the most? The people? I mean, with people, they go up and down every day, but they’re not the type to just give up easily. In the kitchen I can be quite mean, you know but they’re still with me after 3 years, so that’s something I admire. On the other hand, if people treated me like this, I wouldn’t stay here. The fact they stayed is something I admire.